Today I will be talking about our second point, ability to nurture. Nurturing can be defined as tenderly taking care of a thing until its potential abilities come through or growing something to maturity. In my first post: power to conceive, I talked about the fact that you as a woman has the ability to conceive an Idea and bring it to bear by delivering a solution to a common problem. We all know that the start of a business is just the beginning of a journey, just like a child needs to be tended to and nurtured in other for it to bring forth fruit so does a business. We as women have that common ability because it’s what we are built for, anyone who has had a child knows what I am talking about, no matter how many books you have read before you birth a child, you are never still prepared for the curve balls that come your way when that child is born and you begin to care and nurture it to grow. We find that sometimes even proven concepts cannot be relied on, yet we still get to do a good job by following our inner intuitions. I believe that you can apply the same concept when nurturing a business, you can read up all the books and do the research as you need to , but sometimes, you have to rely on your gut feeling to pilot your business to where it needs to go to even when it looks like it’s not the right direction. That’s because God has placed such capabilities within us to be able to discern the right direction to follow. Nurturing a business requires lots of patience and care, we are not lacking in both as they are the daily requirements for a mother who is bringing up her kids, you have to be consistent in teaching and correcting until the right habit is formed. The same applies to our business, oftentimes not all businesses take off to roaring success when you begin, but we have to be willing to put in what it takes to see it come to pass. For instance when I started My Training Company: Laplace Knowledge Academy. I had done all I knew by assembling my course materials, putting out the adverts and also informing others about the training day, all I wanted was a class of 10 people because that was my capacity then. I waited for commitments from people who had said they will come, but 2 days to my training date, I didn’t get even a single person’s payment commitment, it was like the class will never hold, but I did not give up, I kept calling on my contacts and giving them some discounts in other to get them to attend. I even offered to take half the payment before the class began, I prayed like I never did before because I wanted someone to turn up. I knew I needed that one person to prove I could do this, one day before that training, some guy called out of the blue and paid me, that was the first green light I got that the idea upon which my training concept was built was not just a mere thought but real. My class did kick off in that February and I have trained a lot of people who have been making an impact in their careers, but it started with that one training that finally took off. Through nurturing idea and executing it, we became the go-to place for people who wanted to start off their career in the telecoms industry in my home country. We got our referrals through word of mouth and also testimonials from people we had trained. The companies that hired them were also testifying that we offered the best training when it came to fresh graduates in that industry. If you have been mulling a business idea in your mind, it’s time to take that first step and start off a simple business idea that helps you earn money from it without leaving your home. P.S: Be back here for our follow up on this series: Resilience a key trait for a mompreneur, see you in my next post. Want to teach your kids about money? here is what to do. 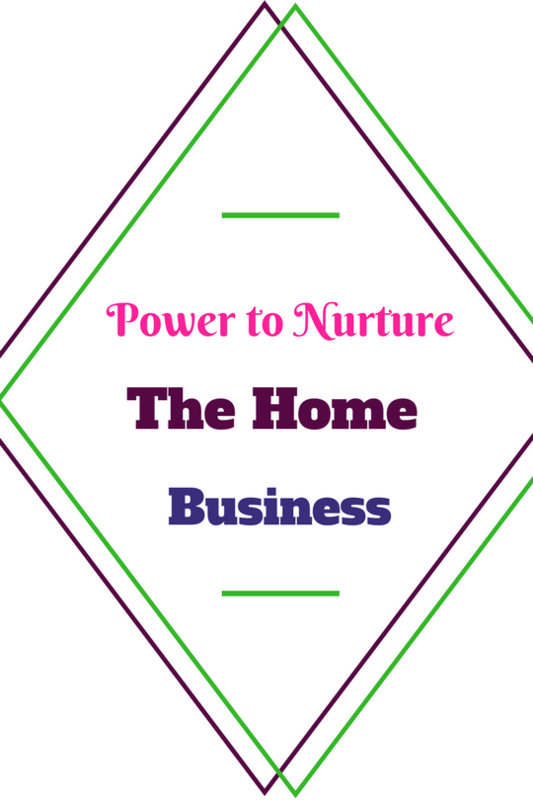 Absolutely, nurturing a business takes a lot of time and patience. I think that’s where many people give up, but if you can keep going it’ll be well worth it in the end. Absolutely Helen, I believe that we need to apply the same attitude we use in teaching our kids to our home businesses, when we do so we are sure to succeed.